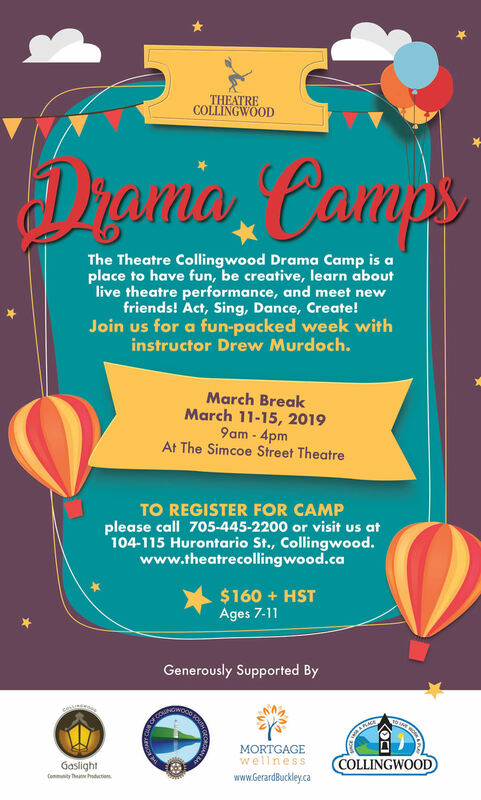 Join Theatre Collingwood for a super fun week at MARCH BREAK DRAMA CAMP! Our theme for our 2019 MARCH BREAK DRAMA CAMP “Schoolyard Shakespeare”. Instructor drew Murdoch, through improvisation, story building, movement and basic scene study, will help campers to gain confidence in themselves and learn more about their own unique capabilities, all while discovering the ageless value of Shakespeare and how the plays can relate to modern times. For ages 7-11 years. No experience necessary. Our goal is to introduce campers to the wonderful world of theatre, to make friendships, to build self confidence……and to have fun! COME ON OUT AND PLAY! Subsidized tuition available when needed. Please inquire. Schoolyard Shakespeare is all about how Shakespeare can still be relevant today. Find out answers to some of life’s most important questions like, who the heck is that Romeo guy and why does he talk like that? Or, I heard that there were fairies in Shakespeare does that mean that Tinkerbell is a Shakespearian character? Camp will include furiously fun games galore, building beautiful and stupendous stagecraft and artistically anchored alliteration! drew Murdoch really spells his name with a lowercase d! In 2016 he received his BA in theatre studies from York University. During that time, he found a passion for theatre education while taking courses such as Theatre for Young Audiences and Drama in Education. Through York University’s theatre program drew has had the opportunity to perform at the Edinburgh Fringe Festival twice, first in 2015 and then again in 2016. 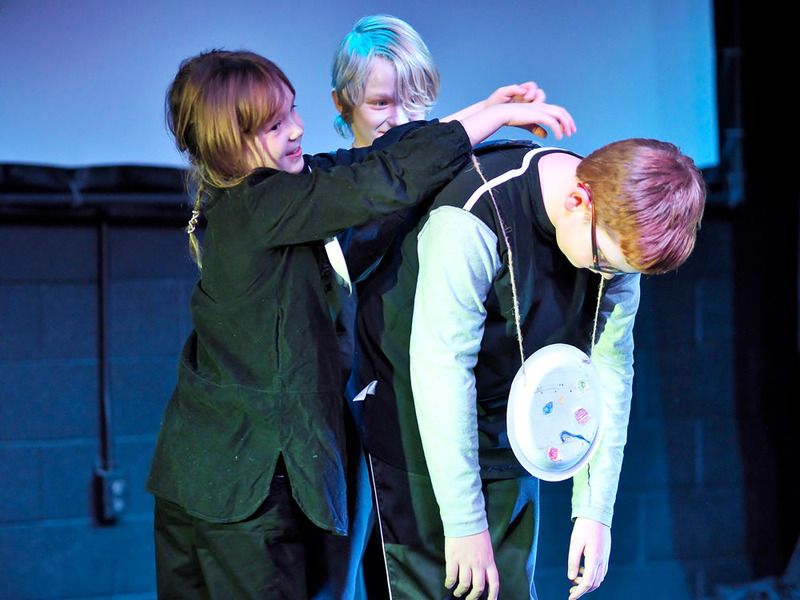 In 2016 drew brought the Canadian Theatre for Young Audiences Play Head À Tête to the Edinburgh Fringe. drew acted in the play as well as created a workshop based off the themes of the show. 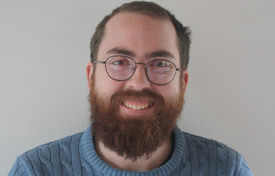 Currently drew is working towards getting his Library and Information Technician diploma as well as working at the Wasaga Beach Public Library where he runs the Video Game Social. When he’s not teaching teens what video games can teach them about their life, drew gets to work with Theatre Collingwood. With them he has helped teach the past three drama camps. 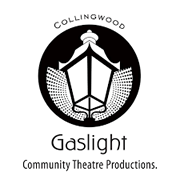 He has also worked in conjunction with both the local theatre company Quarter Century Theatre and Theatre Collingwood to create the innovative theatre education course Fusion Fun Labs. drew wants everyone to know that theatre isn’t about how well you can cry on command or how beautiful your sets look, it’s about looking inside yourself and creating something truthful. He looks forward to all the amazing discoveries that are about to be made!